For years, the owners and employees of CooperBoettger PLLC have been providing quality, personalized financial guidance to local individuals and businesses. Our expertise ranges from basic tax management and accounting services to more in-depth services such as tax representation, financial statements, and financial planning. Our principals have demonstrated expertise in tax planning for individuals, closely-held businesses and their owners, as well as estate and succession planning. Focus areas include real estate development, retail sales, insurance agencies, restaurants, and tool and die companies, among others. CooperBoettger PLLC has established itself as one of the leading firms in and throughout our service areas. By combining our expertise, experience and the team mentality of our staff, we assure that every client receives the close analysis and attention they deserve. Our dedication to high standards, hiring of seasoned tax professionals, and a solid work ethic is the reason our client base returns year after year. Our mission is to help clients maintain financial viability in the present, while taking a proactive approach to achieve future goals. This requires open communication to reach an understanding of our clients' needs through research and sound analysis. CooperBoettger PLLC is dedicated to meeting these goals with the highest standards of excellence and professionalism. Our owners and staff have been active in the St. Joseph and Lansing business communities for years, and we take great pride in the level of esteem we have earned. We believe this to be a direct derivative of our talent, experience, and responsiveness to our client base. Whether you are a current or prospective client, an individual or business owner, rest assured that you will receive competent and timely service. 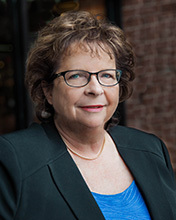 Linda Cooper has been a practicing CPA for over 30 years. She began her career in Dayton, Ohio with a national accounting firm. She has worked in firms in Ohio, Indiana, Kentucky and Michigan. She came to the St. Joseph area in 1992 and worked for Plante Moran. From 1997-2004 she lived in Lansing and worked for a regional firm headquartered there. She returned to the St. Joseph area in 2005. 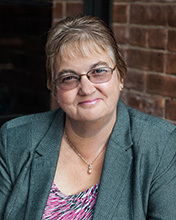 Prior to the successful launch of CooperBoettger PLLC in July 2015, Linda worked as tax manager in the local office of another area firm, concentrating her efforts on tax planning for individuals, closely-held businesses and their owners, and estate and succession planning, as well as representing clients before the IRS. Her many clients are active in real estate development, insurance agencies, restaurants, and tool and die works, among others. She is a member and past president of Southwestern Michigan Estate Planning Council and Lansing DeWitt Sunrise Rotary. 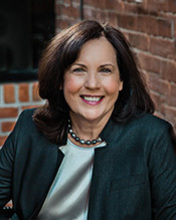 Sheila Boettger’s professional career spans over 30 years and includes early experience with national firms that focused on the audit of manufacturing and commodity clients, most of whom were multimillion dollar public and private companies. Sheila owned a tax and accounting practice in Lima, Ohio, for several years that served small- to mid-sized business clients, their owners, and other individuals. After moving to St. Joseph in 2005, she joined Ms. Cooper at another area firm. During her years working with Ms. Cooper, she has provided accounting and tax services to a wide range of businesses. Dennis P. Shea is an Enrolled Agent (EA) and QuickBooks ProAdvisor who has been providing small business owners simple, cost-effective solutions in the areas of bookkeeping and tax preparation for over 16 years. Enrolled Agents are the only federally licensed tax preparers who have unlimited rights to represent taxpayers before the IRS. In addition, he has over 30 years’ experience as an expert user of both QuickBooks and Quicken financial software, MS-Office, and other business applications. 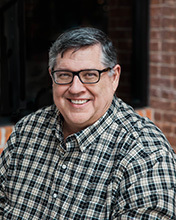 Mr. Shea has experience in a variety of consulting and direct services touching on every aspect of small business operations, from full-charge bookkeeper to CFO, with clients ranging from $150,000 to $2.5 million in annual revenues. Jackie worked for St. Joseph-based accountant Sandy Alexander for many years, and has continued to maintain her valued relationships with many of his former clients, even as the original firm has passed in recent years through a number of new owners. 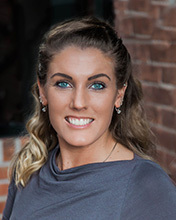 Jackie joined the firm in August 2015, and handles our core bookkeeping, payroll and individual tax services. Amanda is our administrative assistant, whose responsibilities include bookkeeping and payroll, client communications, and general firm matters. Amanda worked at a local area CPA firm until joining CooperBoettger PLLC in August 2015. She is currently pursuing a degree in accounting and developing her expertise with QuickBooks accounting software. CooperBoettger PLLC is one of the leading firms in and throughout the St. Joseph and Lansing, Michigan areas. By combining our expertise, experience and the team mentality of our staff, we assure that every client receives the close analysis and attention they deserve. Our dedication to high standards, hiring of seasoned tax professionals, and work ethic is the reason our client base returns year after year. © 2019 CooperBoettger PLLC All Rights Reserved.